Avec 1 flûte, 1 violon, 1 basson et une contrebasse. We made this beautiful tune in a non traditional way - two female vocals (both sung by Kat), bass and trumpet. And with a surprisse in the end. Hope you enjoy! P.S. Native French speakers, forgive me! soooooooo beautiful and relaxing, it has just the right name : Air . when i play it on my violin, it's like i'm flying ! to bad it's not the complete song, it's to shot, i'd keep playing it for hours !!! Partition tres necesaire a connaitre! 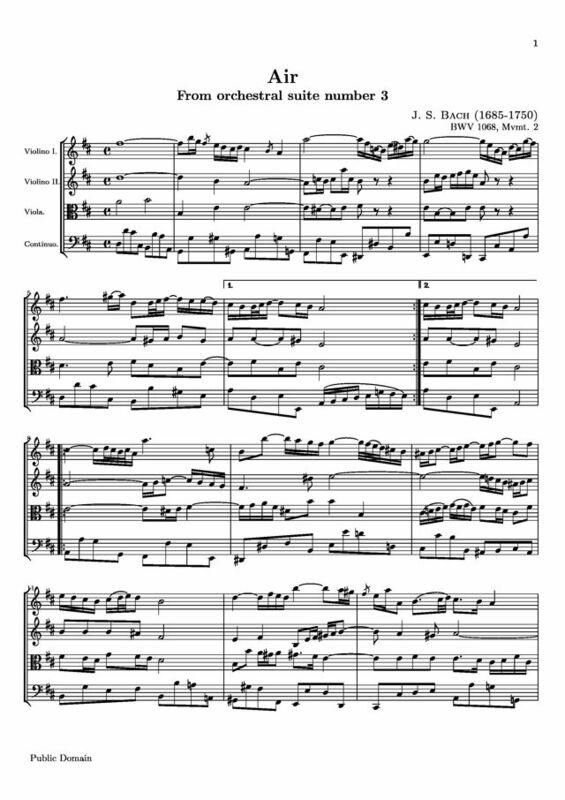 I'm on Grade 3 at the moment, and I really enjoy practising music like Bach's Air. Classical music truly inspires me!